MediaMaster Express can be controlled from your keyboard, DMX or MIDI controller. MediaMaster Express is the perfect, affordable partner to easily program and run your live video show for clubs, church, theater, corporate, or other events. MediaMasterPro 5.3 can turn any powerful computer into a full fledged professional media server capable of running live or preprogrammed HD video shows in sync with music and light. 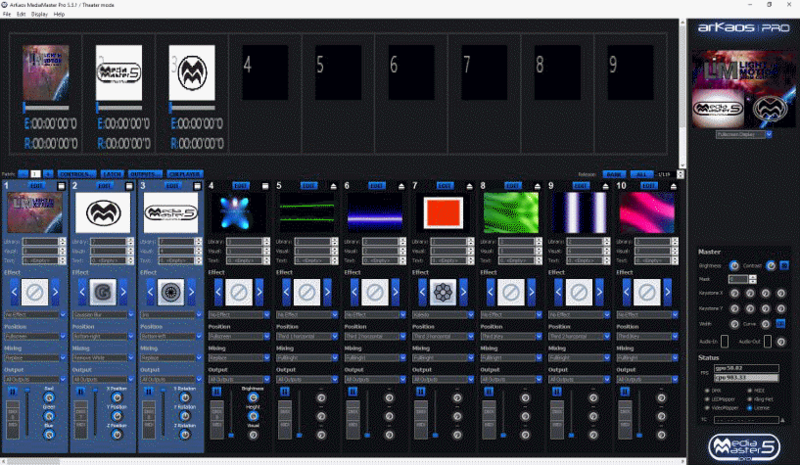 When used with our BlueLite X1 Controllers and Software, you can easily program your MediaMaster Express or MediaMaster Pro cues into your existing BlueLite lighting cues for pre-programmed playback of your show, whether you step through your show, are using the BlueLite's Event Lists with SMPTE timecode for playback. or need live access.